Valve boss Gabe Newell has once more pushed the case for PC gaming, insisting that people deserve greater choice in their games machines. 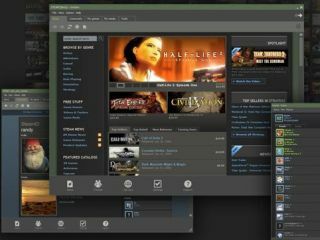 Newell's Valve is one of the most influential games developers on the planet, and on top of producing some of the highest rated games – like the Half Life series – is also behind Steam, the games network and store of choice on the majority of gamers' computers. Speaking to PC Gamer Newell said: "People like their PCs. There are huge numbers of them and each person gets to have the one that they like rather than the one that someone else has defined for them. "There were 350 million PCs sold last year so the economies of scale are tremendous so you get great value for money," he added. The arrival of Windows 8 is expected to mark a new push by Microsoft to make PC gaming great again, although its Xbox business is booming. But the likes of OnLive's arrival has led some to suggest that the future of PC gaming could be via the cloud rather than a local machine.